Amateur Nikon: Happy Birthday AmateurNikon! Time really does fly. Today, November 26, AmateurNikon celebrates its fifth birthday. Exactly five years ago, on November 26, 2011, the first ever AmateurNikon article was published. It was this one, a review of the Nikon Nikkor AFS 18-55mm lens. I learned all the important lessons in photography all by myself, by trial & error. There is an excessive amount of cold facts about cameras and lenses, and very few about real-life use. I care about photography and art. Through these five years, I have never portrayed my opinion as the best one - let alone the only one. But I have always been honest and upfront about it. I have offered my experience, in as easy-to-understand language as possible, yet at the same time trying to appeal to more advanced photographers as well. This is not easy and sometimes I have probably, inevitably, failed. Some articles might have been too difficult for beginners, others might have been too simplistic for advanced photographers. I'm learning myself all the time, and I even change my mind from time to time. That's a good thing; this is how progress occurs. Ask anything you want, I'm here to offer my opinion. 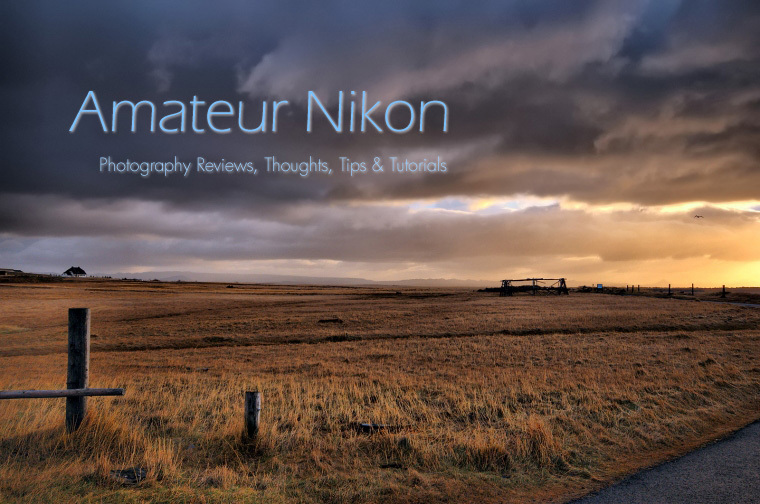 You can also leave a comment on any page here on AmateurNikon if you'd rather ask through the website. There are no stupid questions, and I never get bored of questions - even those like "Which is better, Canon or Nikon? One thing I've also grown to dislike - a lot - in Internet discussion groups is the condescending, patronizing attitudes of people who, either because they own an expensive camera or because they're more experienced, think it's OK to be hostile towards those who can't afford to pay a lot or who are beginners. I absolutely detest this attitude, and aggression in general. I will never look down on any photographer, no matter what their background. I started from nothing myself, I bought my first film camera literally counting coins on the shop's counter. Happy Birthday AmateurNikon. And the best wishes to all its readers, that are the reason I'm writing these articles, week, after week, after week.